Arctic O&G exploration has been under the spotlight for some time now, with environmentalists clamoring for a moratorium on Arctic drilling and O&G production, due to concerns of operational safety and unpreparedness of operators to deal with oil spills in the harsh and icy Arctic environment. This has led Shell and other operators to postpone their Arctic activities in order to reassess their safety measures. 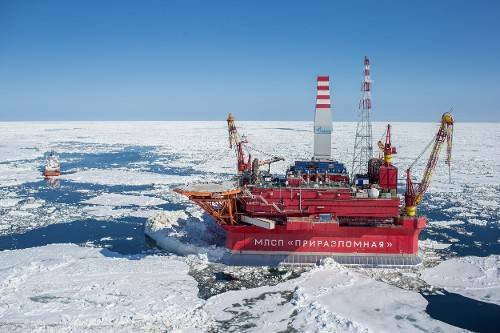 Russia however has decided to continue with their Arctic exploration plans, and after some delays, Gazprom has started producing oil from the Prirazlomnoye field. 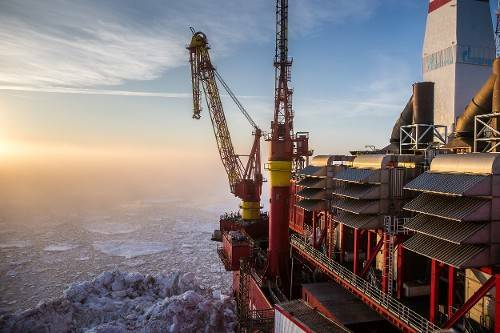 It is the first Russian project for developing the Arctic shelf and launches Gazprom's large-scale activities aimed at creating a large hydrocarbon production center in the region. 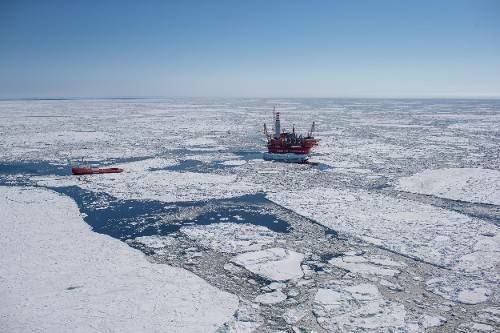 Some analysts believe there is a total volume of uncorked O&G reserves in the Arctic shelf of about 413 billion barrels boe, or about 22% of the world’s total volume of undiscovered conventional hydrocarbons. About 43% of the Arctic shelf lays in Russian waters. The Prirazlomnoye oil field is located south of the island of Novaya Zemlya in northern Russia, in the Pechora Sea, 60 kilometers offshore at a water depth of 19m to 20m . 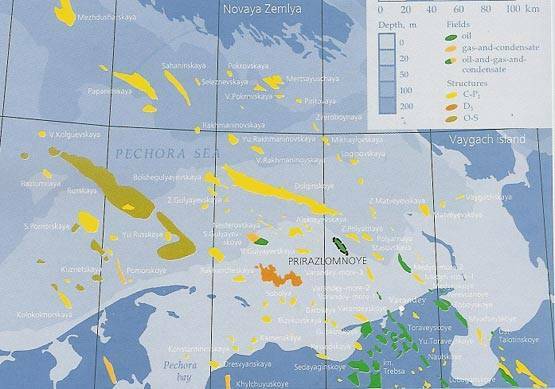 Prirazlomnoye reportedly has reserves of 610 million barrels boe. 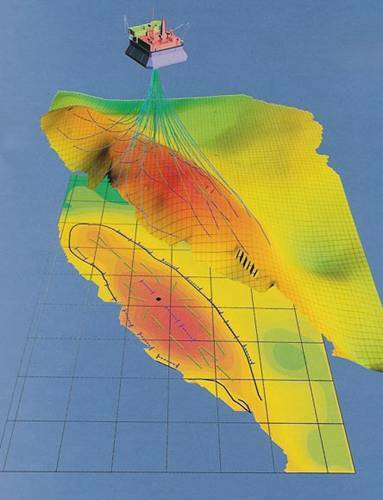 Drilling plans envisage up to 40 directional wells (19 producing, 16 injection and five reserve). 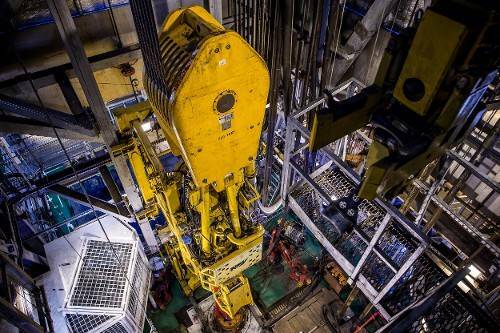 All wells will be drilled from the single rig on the platform, with simultaneous drilling and production. Perimeter water flooding of horizontal injection wells will occur at near-fracturing injection pressures. Production is expected to last for 25 years. 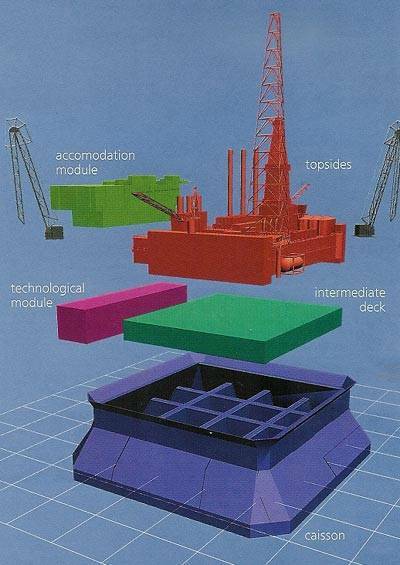 The Prirazlomnaya Offshore Ice-Resistant Fixed Platform (OIRFP) controls every operational phase of the field’s development, from drilling, to production and storage, end product processing and offloading. The Prirazlomnaya OIRFP is a unique stationary rig designed and constructed in Russia to Gazprom's specifications. It is intended for operation under extreme environmental and climatic conditions, and resistant to high ice loads. Special alloys resistant to corrosion, low temperatures, high humidity and an aggressive marine environment were used during the platform construction. The platform is secured on the seabed by its own weight of 506 thousand tons, including the stone berm artificially created for protection against scouring. 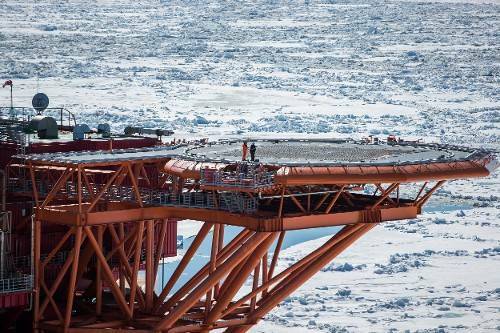 A high-strength deflector secures the platform from wave and ice exposure. The design features of Prirazlomnaya are said to exclude the possibility of any oil spills during its production and storage, yet as the rig has been untested, only time will tell how safe it really is. All the wellheads are situated inside the platform, and in this way, its foundation serves as a buffer between the wells and the open sea. Produced oil is stored in the caisson with three-meter-high concrete walls covered with two-layer corrosion- and wear-proof clad steel plate. The safety margin of the Prirazlomnaya caisson exceeds the actual loads that are placed on it, and has 3 meter thick concrete walls, which is definitely good news. A wet method of oil storage is used at the platform. The method eliminates the possibility of oxygen getting inside the tanks and thus prevents the creation of an explosive environment. All the associated gas produced at Prirazlomnaya will be used for the platform services. 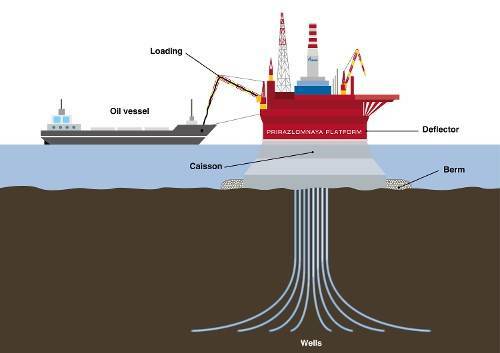 In the next blog we will look at more details of the rig’s construction and on systems used for drilling, production, offloading and oil spill response.